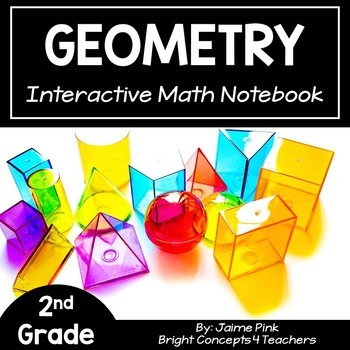 Interactive notebooks are a great learning tool in the classroom. They serve as a resource for reviewing standards, a reference tool, or even as an assessment. 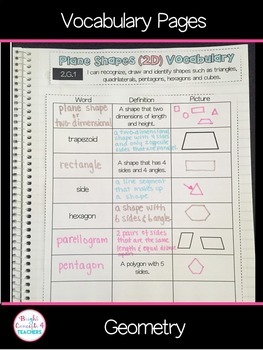 This notebook covers all the 2nd Grade GEOMETRY Common Core standards. 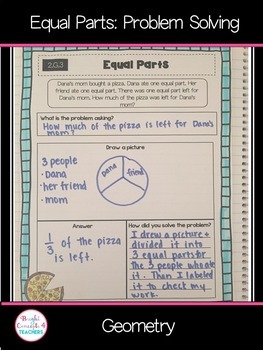 -Student friendly "I can" statements at the top of each page. I know your students will love making these notebooks as a method to reinforce all the CCSS math standards they have been taught. Email me at brightconcepts4teachers@gmail.com if you have any questions!